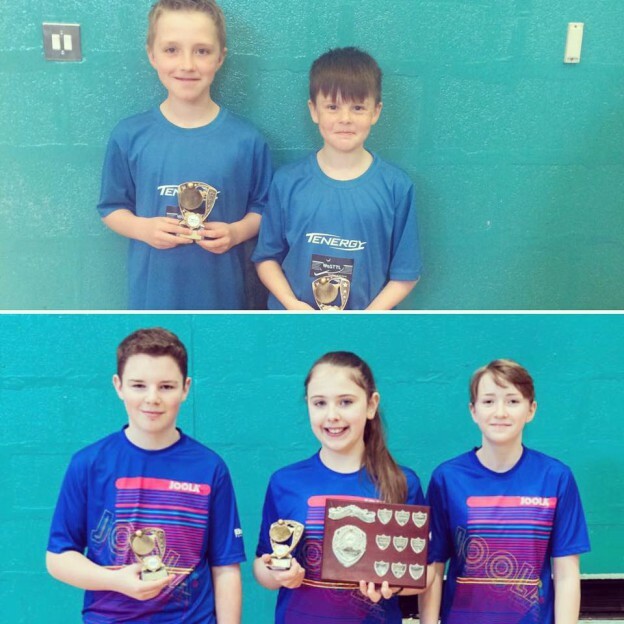 The final day of West of Scotland Junior League saw two North Ayrshire TTC teams win their respective divisions with decisive wins over their challenging teams. Chad Duncan & Patric Hollywood finished top of Division 2 and Adam Nicol, Holly McNamara & Naomi Provan topping Division 3. Our ‘A’ team made up of Jamie Johnson, Ryan Henry & Robin Wilson finished 2nd in Division 1 behind strong Glasgow South team. Well done to all of the following teams who competed throughout the year who all posted great results and represented the club in a well behaved and professional manner. NATTC as always will be looking to expand our Junior League teams and better the results next year. Most players & teams will move up a Division which will be confirmed at the start of the season. This entry was posted in Latest News on 26th April 2016 by Chris Main.